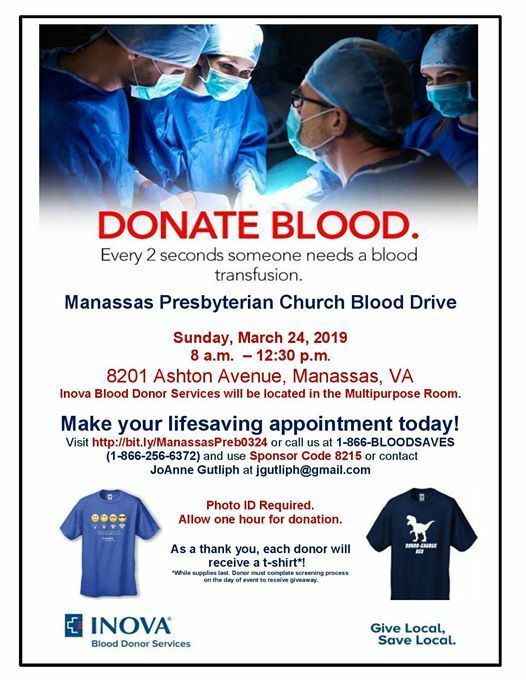 Come out and donate at Manassas Presbyterian Church! 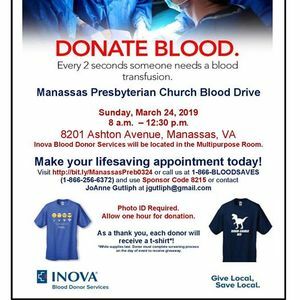 To make an appointment, visit http://bit.ly/ManassasPreb0324 or call us at 1-866-BLOODSAVES (1-866-256-6372). Photo ID Required. Allow one hour for donation.